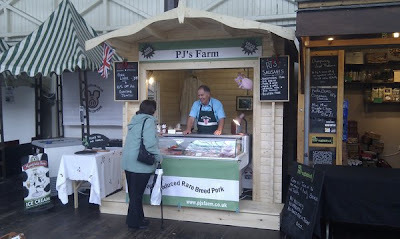 Go to the PJ's Farm stall in Green Park Station, Bath and you will find a range of gluten free sausages and 2 gluten free pork burgers! Did you know 4th June was National Cheese Day?! I've been a bit miserable since my recent discovery that I'm intolerant to egg whites. Some days I feel as though there's nothing left that I love that I can eat anymore. Instead of wallowing in my own misery, I should take the initiative and simply find brand new foods that I love! Luckily (big phew) cheese is still OK ( low in lactose so doesn't effect me like cow's milk does) so I shall be celebrating this day with aplomb. These cheese bites are not at all what I was expecting. 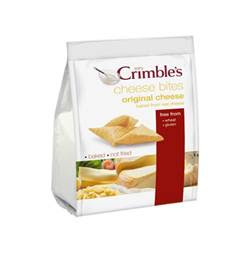 I was expecting essentially a triangle version of a cheese cracker. But what you get it lovely, light and puffy (hollow) bites. The cheese flavour is great, tastes like a nice piece of parmesan yet isn't overpowering. If you ever tried Burtons Potato Puffs or Puffa Puffs crisps when you were a kid that's the sort of texture I'm talking about. Light as a feather and melt on the tongue. 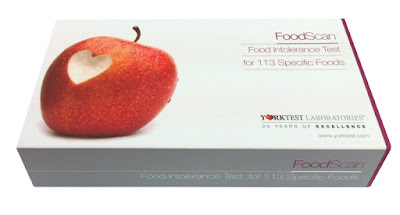 I recently took a YorkTest FoodScan 113 Food Intolerance test.They send you a kit, you send them a vial of your blood and they post you the results. Very simple and straightforward. Dealing with the results however is a little more complicated! My mum suffers when she eats eggs and I traditionally avoided them as they made me windy however I avoided eating huge amounts of them - I was not prepared for avoiding them completely and found myself holding things up in the supermarket and asking "does THIS have eggs?!" It's a bit like starting from scratch and much loved recipes and products now have to be avoided and substituted. As mentioned in my previous post, this week is Coeliac UK's Coeliac Awareness Week.If you would like to go gluten free this week to help raise awareness and you're unsure of what to eat, here's a menu plan to help you on your way. I'm trying to save money on my grocery bills, so I've started planning meals for the week ahead. Here is this week's menu plan and is pretty representative of the type of dinners I usually have. Night Two Noodles with tuna - I buy dried rice noodles from the Chinese supermarket but they also have them in major supermarkets. Soak the noodles in hot water from the kettle for a few minutes. Heat a tin of tuna in a saucepan, add chilli, herbs, sweetcorn etc. Add noodles and heat through. Coeliac UK are raising awareness of Coeliac Disease through a gluten free week. The week starts on the 16th May and ends on the 22nd May. I decided to go dairy free just before Christmas. It's been hard but as with going gluten free, these days the alternatives are of such an amazing quality, the switch is fairly painless. 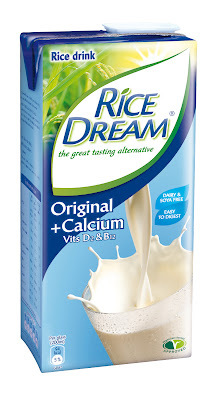 Rice Dream is an alternative to milk for those who can't tolerate lactose or soya. I found it to be a lot thinner than soya milk (what I was expecting from rice milk tbh!) so needed a splash more in my tea. I found the taste to be great, not at all earthy like some soya milk can be and not overpowering so you can enjoy a cup of tea and actually taste the tea rather than just the milk. The new calcium enriched version (pictured) is now available and you can also buy a chocolate version. The batter recipe comes from one of my most used gluten free books 'Your Wheat Free, Gluten Free Diet Plan' and had been adapted according to what I had in the cupboard. Mix the flours with the salt and baking powder and stir in enough water to form a thick, creamy batter. Heat 1" vegetable oil in a pan. Coat the fish in the batter and place carefully (but quickly!) into the hot oil. Cook for 3 minutes on each side and drain onto kitchen paper.